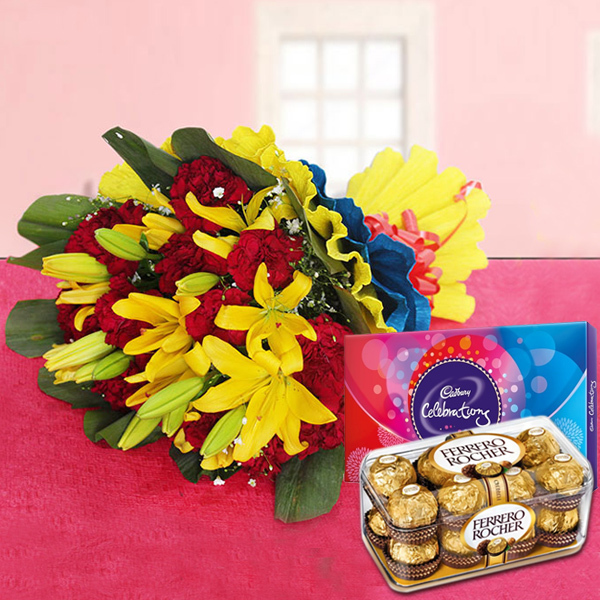 Your love one will be enchanted to receive this lovable gift hamper on her first Karwa chauth. 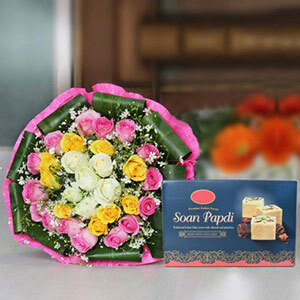 This mesmerizing gift hamper consist of one delightful flower bouquet and two chocolate delights will never fail to impress your beloved person in the best possible way. 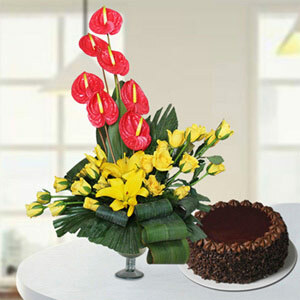 After all, first karwa chauth should be special, right?